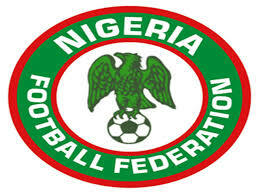 The Nigeria Football Federation (NFF) are planning to take the Confederation of African Football (CAF) to the Court of Arbitration in Sports (CAS) following the removal of the best losers' spot from Nigeria's group due to the withdrawal of Chad.. The unexpected withdrawal of Chad made it impossible for Nigeria to vie for a ticket as one of the best losers. "It is rather unfortunate that Chad, one of the teams in the qualification group, suddenly pulled out of the race, leaving only three teams left in the group, and only the winner of the the group guaranteed qualification. This appeared to have taken away our worst–case scenario of qualification. However, our legal unit is looking at the propriety of changing the rules midstream’’, Demola Olajire, who is the Assistant Director of Communications of the NFF, said.